10.22.10 We welcome the Bucksport Chess Club to the Maine Chess Community. 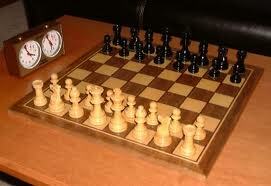 Andy Lacher of Bookstacks Bookstore in Bucksport will host the new Bucksport Chess Club scheduled to meet the last Thursday of each month beginning October 28th, 2010 from 6:00 p.m. - 8:00 p.m. at Bookstacks located at 71 Main Street in Bucksport. We wish Andy the best of luck with the new club and we hope to see you there! The Bucksport Chess Club will meet at Bookstacks Bookstore 71 Main Street in Bucksport the last Thursday of each month from 6:00 p.m. - 8:00 p.m.
For an up-to-date listing of all the active chess clubs in Maine including the newly-minted Bucksport Chess Club please click here. To visit Bookstacks Bookstore online please click here.